Influential setting: There’s no sugar coating it, despite the uniqueness of playing a regulation game in the Al McGuire Center for the first time in program history, there were a lot of empty seats. I would hazard it was at most 85% full. Completely different atmosphere. Nevertheless, the atmosphere was nothing like that of a game at the BMO, particularly against a cupcake. Even the lulls had a low buzz to them. The roars, particularly early on, were all encompassing. I would really be interested to see a game here against a decent opponent, but realize it will logistically and fiscally never happen. All Glue Team: After making his case to be on Seth Davis’ All-Glue team with a brilliant all-around performance against Arizona State, Juan Anderson once again showed he can do it all scoring 13 points, grabbing 7 boards and dishing out 4 assists in 26 minutes of play. The senior has become indispensable on both sides of the court, and not just because there are only eight players to choose from. Last season, Anderson would start, get token minutes, be afraid to shoot, grab some bench and call it a day. 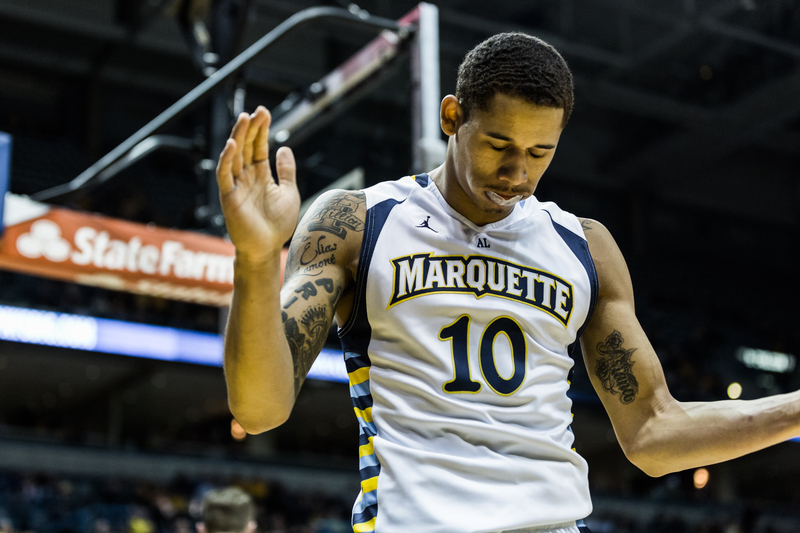 He’s leading Marquette in %minutes played on KenPom at 81.7%, up from 31.6% last year. But again, it’s not just the lack of players. He’s confident. He is very active on defense and is much more adept at blocking the passing and driving lanes. His stats won’t be as pretty in the conference season, but he will be vital to Marquette’s success. Puffy cupcake: As far as quality of opponents goes, Alabama A&M left a lot to be desired, and then some. Enjoy the nice stats and the fact Marquette dominated a game it should dominate, but don’t take much of anything from it.